Day 6: 7 sites in 7 days. To thank our 7M Facebook fans. We’ve reached day 6 of “7 sites in 7 days. Sharing web fun with our 7M fans”. Day 1 – medium.com has a time signature, so you know how many minutes it will take you to read one blog post. Day 2 – 7min.io is the site that can help you get in shape. Day 3 – alastairhumphreys.com inspires readers to start embarking on their own “microadventures”. Day 4 – codeclubworld.org is a volunteer-led project to open programming clubs for 9 to 11 year olds across the globe. Day 5 – theuselessweb.com is the one of the best sites to visit if you want to have some fun on the internet. 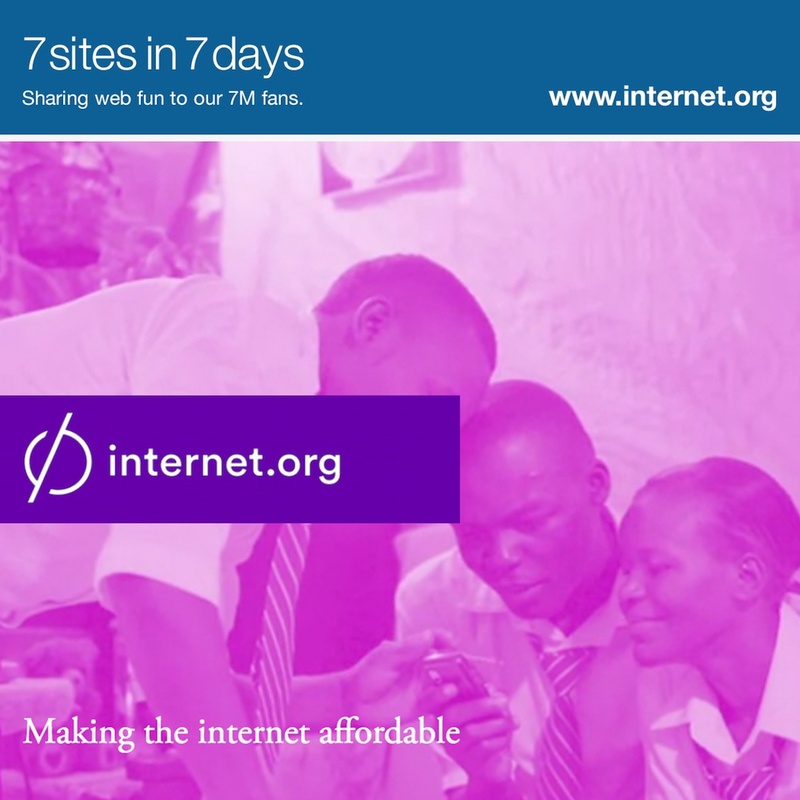 Our featured site for day 6 is Internet.org. Internet.org is a global partnership of technology leaders (including Opera Software), nonprofit organizations, local communities and other experts, who have accepted the challenge of making the internet available to every person on earth. The partners who comprise Internet.org believe in the power of the connected world, a goal which aligns perfectly with Opera’s corporate vision of shaping an open, connected web. 1. Opera Mini and its compression technology shrinks down data so users browsing on their phones can save on their phone bills. 2. Opera Max (in beta) compresses data across all Android phone apps, including video. 3. Our Opera Turbo feature and Off-Road mode are compression options that provide users with a better browsing experience, even in bad internet conditions. Visit Internet.org to learn more about this global initiative.